Popplet - All about apps in YOUR classroom! Popplet is collaborative brainstorming tool that can be useful for both teacher directed or student initiated projects. Teachers and students can create various forms of visual organizations. Popplet can help students learn how to manage and organize information, collaborate with others, comprehend complex concepts, and discover new connections between various ideas. This app is user friendly and can be used at any grade level. The app allows you to add text, videos and import images via Facebook, Flickr, or YouTube, or from any file saved on the computer. Finally, users can take advantage of color coding to group and organize their Popplet canvases. 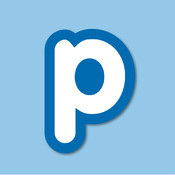 Finished popplets can be exported as JPG and PDF files, as well as saved and printed and posted online. Teachers can use Popplet to create a variety of templates for student use of graphic organizers, timelines, or storyboards. **Popplet Lite is free, but is limited to just one popplet. The full version of Popplet lets you create an unlimited number of local popplets, which are stored on your iPad. You can also use the full version to create online popplets, which can be shared with and edited by other Popplet users, both on the web at popplet.com and on their iPads. For more information about this great use of technology, you can email us or find us on twitter to discuss the applications of Popplet in your classroom.